This course will prepare students for thinking and designing creatively in a world where technical communicators must deal with decentralized expertise and information overload. In classical rhetorical thinking, there is a defined “context” from which appropriate decisions are made. Decisions about what or how to convey information are determined by that decorum. Contemporary, our contexts constantly shift depending on how information interacts with what we know already and what we can observe in our environment. We draw on networked information to make sense of what we know about our environment, culture/social, and physical context to make moment to moment decisions like which laptop to buy, where to eat tonight if you really want Mexican food, or which gate to go to to catch your plane. How and when information is organized and comes to us shapes our sense of our context and, thus, the possibilities of our own, or a client’s, actions. In this course, we will be approaching an understanding of context primarily from two forms of inquiry: text mining and information architecture. This course will approach techniques for mining and analyzing text data to discover interesting patterns, extract useful knowledge, and support decision making, in other words, rhetoric. These are approaches that can be generally applied to arbitrary natural language text data with no or minimum human effort i.e. we will be experimenting with ways of reading large amounts of online texts through machine analysis. In other words, how can you read 10,000 forum posts to understand how your open source community make sense of your product? You’ll learn how. In this course, students will learn the foundational concepts and strategies used to create information structures for others to use. You will read, write, and share their writing on IA concepts as the primary course activity. We will also engage in hands-on activities to aid our thinking. IA is fundamentally a domain of inquiry or a way of being and thinking about information. Therefore, the goal of the course is to prepare students to design inquiry about the best ways to make IA decisions in a given context. Bowker, G. C., & Star, S. L. (1999). Sorting things out : Classification and its consequences. Cambridge: MIT Press. Covert, A. (2014). 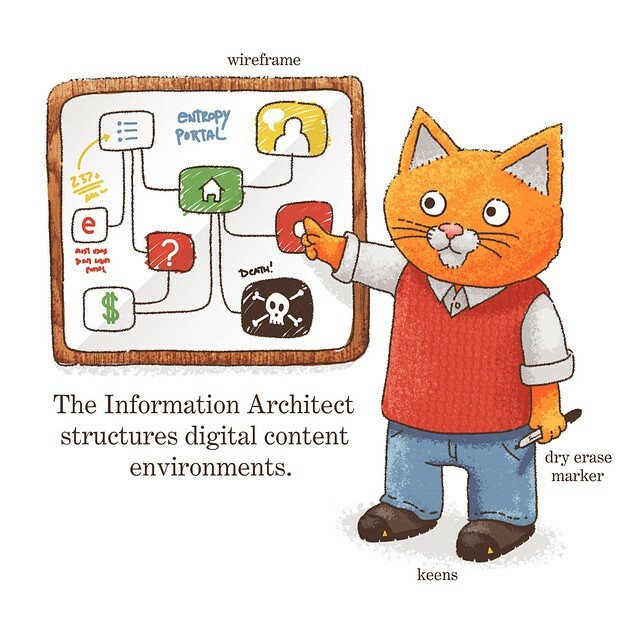 How to make sense of any mess: Information architecture for everybody (1.0 edition). CreateSpace Independent Publishing Platform. Hinton, A. (2014). Understanding context: Environment, language, and information architecture (1 edition). Sebastopol, CA: O’Reilly Media. Morville, P. (2014). Intertwingled: Information changes everything. Semantic Studios. Potts, L. (2013). Social media in disaster response: How experience architects can build for participation. Routledge. Potts, L., & Salvo, M. J. (Eds.). (2017). Rhetoric and Experience Architecture. Parlor Press. Ignatow, G., & Mihalcea, R. F. (2016). Text mining: A guidebook for the social sciences. Los Angeles: SAGE Publications, Inc.